ASAS is an Advisory Council to the Consumers Association of Singapore (CASE). It was set up in 1976 to promote ethical advertising in Singapore and is the self-regulatory body of the advertising industry. Self-regulation means the responsibility of ensuring truthful advertising lies with both advertisers and consumers. This works in the interest of both advertisers and consumers because it ensures that through fair play, there is a balance of trust and responsibility between them. In the situation that an investigation into a misleading ad uncovers an unfair business practice, ASAS may refer the matter to CASE for action to be taken under the Consumer Protection (Fair Trading) Act. ASAS Council comprises representatives from advertisers, advertising agencies, government agencies, media owners and other supporting organisations. The Pharamaceutical Society of Singapore is represented at the ASAS Council by Ms Agnes Lee. PSS partners with AIC to bring the Pharmaceutical Care Programme (PCP) to nursing homes and voluntary welfare organizations. PSS partners the APO in public outreach initiatives including public education talks, medication review events and home medication review visits. Since, its inception in 2006, the Pharmacist Health Ambassador Programme (PHAP) is growing from strength to strength. This programme is a collaboration between HPB and PSS. 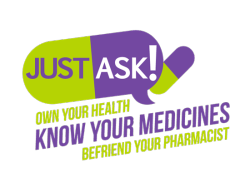 It serves to reach out to the public and functions as a platform for pharmacists to empower people to cope with chronic ailments as well as to advocate healthy lifestyle through counselling and information lifestyle modifications and health concerns such as weight management and smoking cessation. PSS continues to work closely with HSA in the reclassification of medicines. PSS produces patient information leaflets for medicines that are reclassified as well as to review practice concerning dispensing of reclassified medicines. PSS works with NUSPS in bringing outreach medication review events to the public. In this tripartite collaboration with NWCDC and NUSPS, brown bagging events are held twice a year in the NW constituencies. PSS collaborates with SAPI in pahrmaceutical industry attachment programmes for pharmacy students. Anti-Doping Singapore (ADS), a division under Singapore Sports Council (SSC), was established by the Ministry of Community Development, Youth and Sports as the national anti-doping organization for Singapore. Its roles are to promote and support the eradication of doping in sport in Singapore and to fulfil its commitment to the implementation of the World Anti-Doping (WADA) Code. The Government of Singapore was a signatory to the Copenhagen Declaration on Anti-Doping in Sport in 2003 and had also ratified the UNESCO International Convention against Doping in Sport in 2005. The Pharmaceutical Society of Singapore (PSS) has been represented in ADS since 2010 by Ms Lim Wan Peng, who has been serving as an ex-officio member in the ADS Board. To help clean athletes fulfil their responsibility under WADA’s principle of strict liability, ADS has been planning to establish a database of all drugs registered in Singapore, for athletes or even doctors to check the status of medications against WADA’s Prohibited List. This will be a tool to help athletes reduce the risk of inadvertent use of prohibited substances and prevent them from being banned from competitive sports. An MOU between PSS and the Singapore Sports Council and HSA was signed on 1st Feb 2012 to establish a working relationship towards providing the framework for the drug database and a platform for mutual exchange of information between the parties involved.